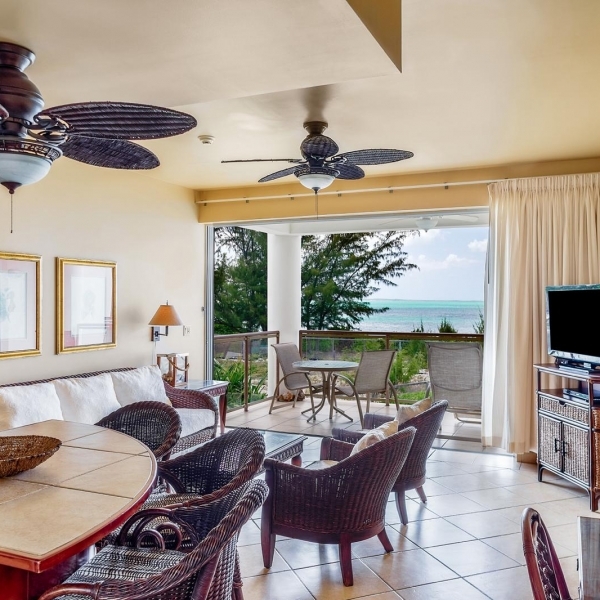 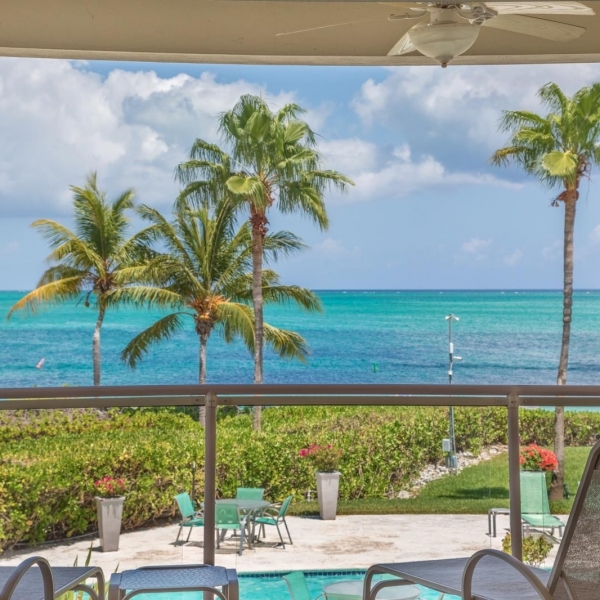 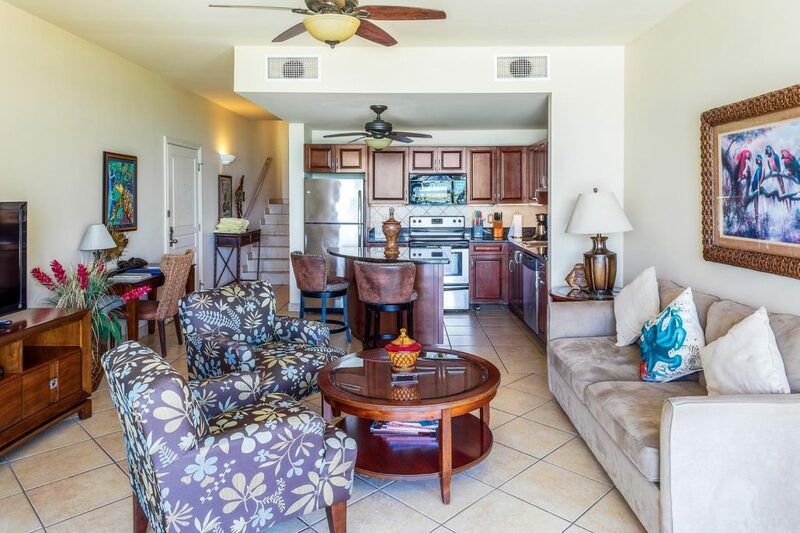 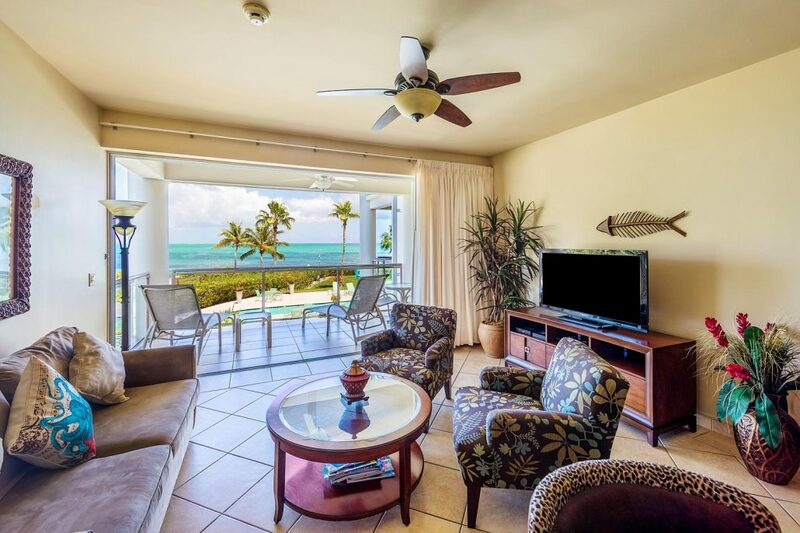 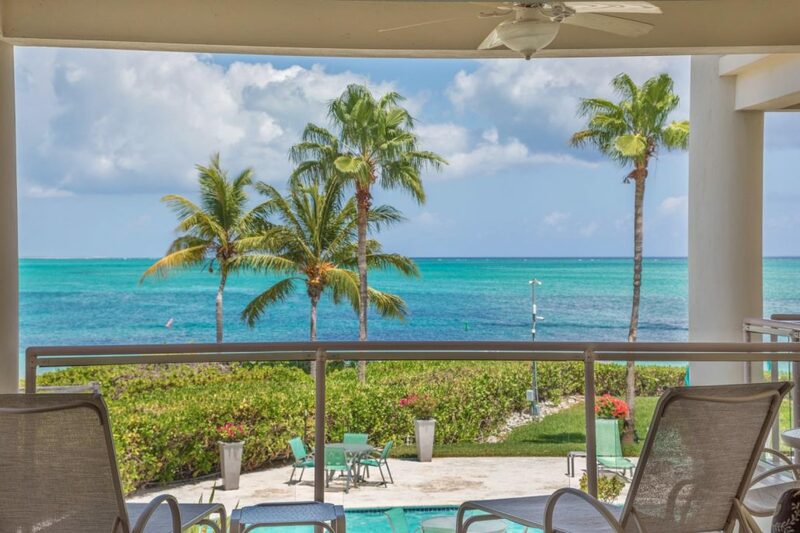 This privately owned condo at Coral Gardens Resort is located directly on Grace Bay adjacent to the best snorkeling reef in Providenciales. 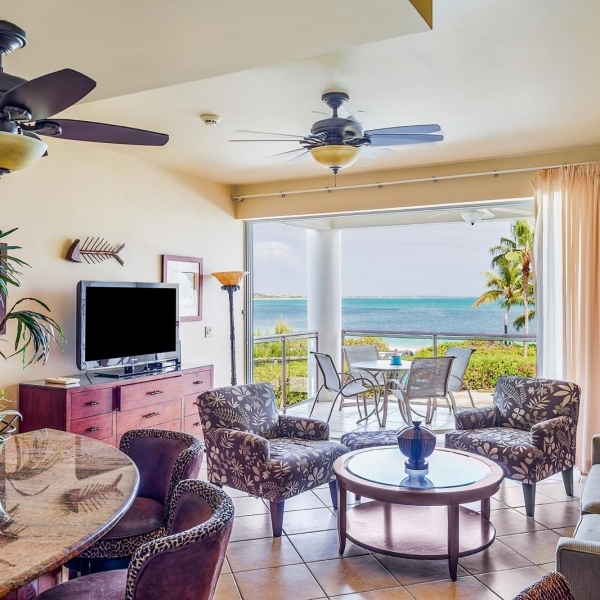 This modern, spacious, 1000-square foot condominium features all the amenities to make your island holiday memorable and relaxing. 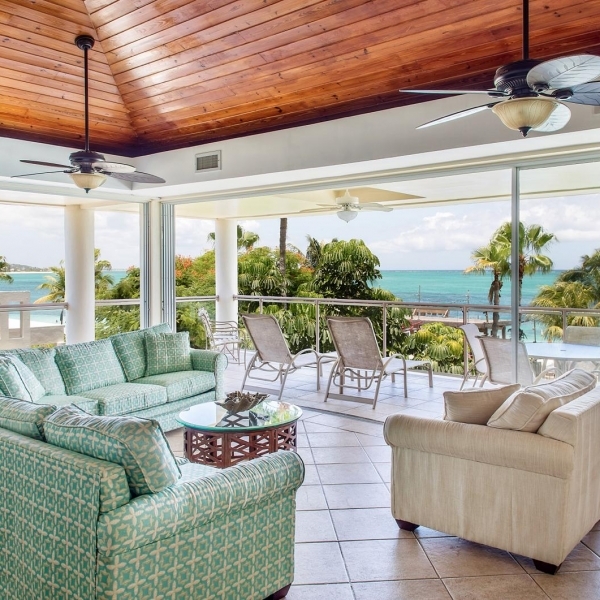 Floor-to-ceiling glass doors open to a panoramic view of tranquil, clear water. 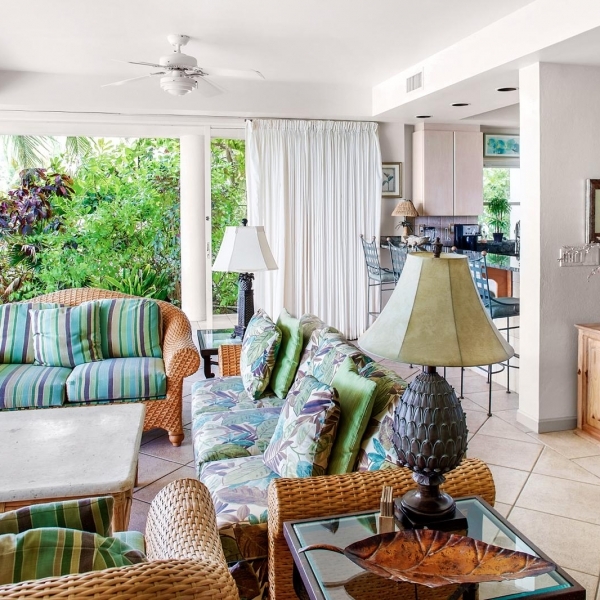 White sandy beaches are found at your doorstep. 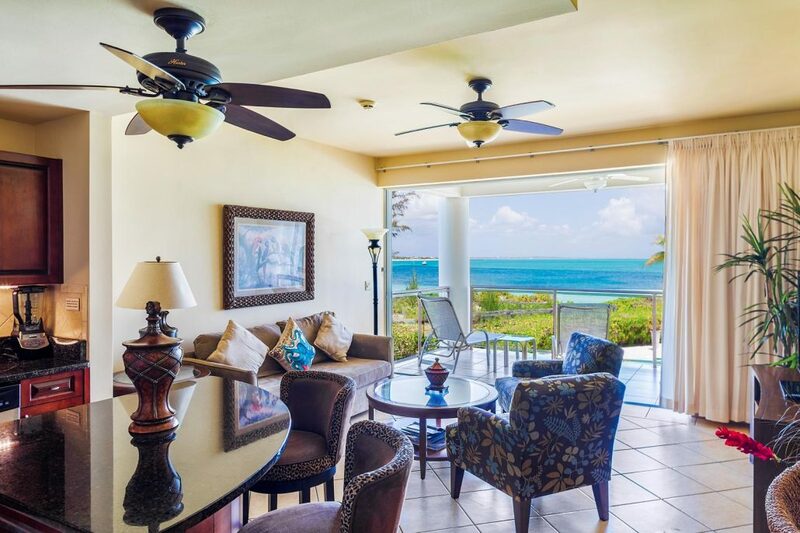 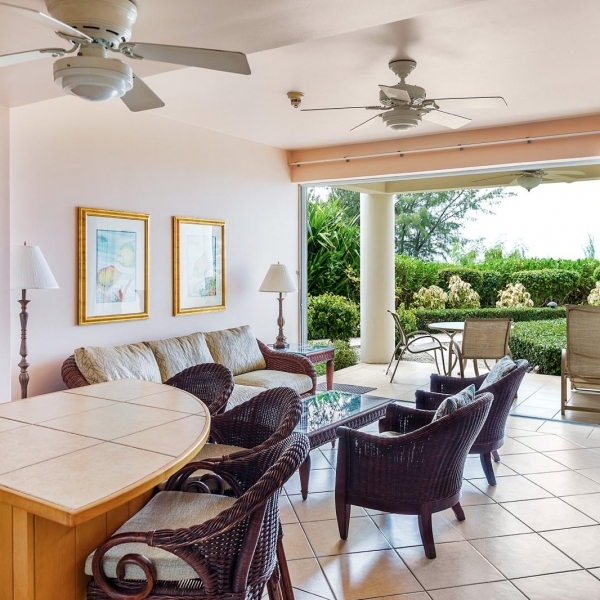 This updated condo features a dining balcony with spectacular views of Grace Bay illuminating its perfect sunsets. 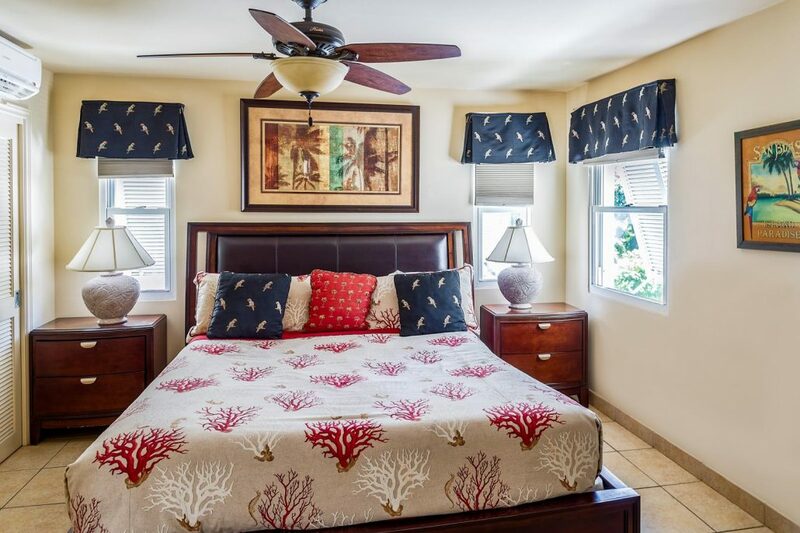 The master bedroom is separated from the living area by stairs providing an ultimate sense of privacy. 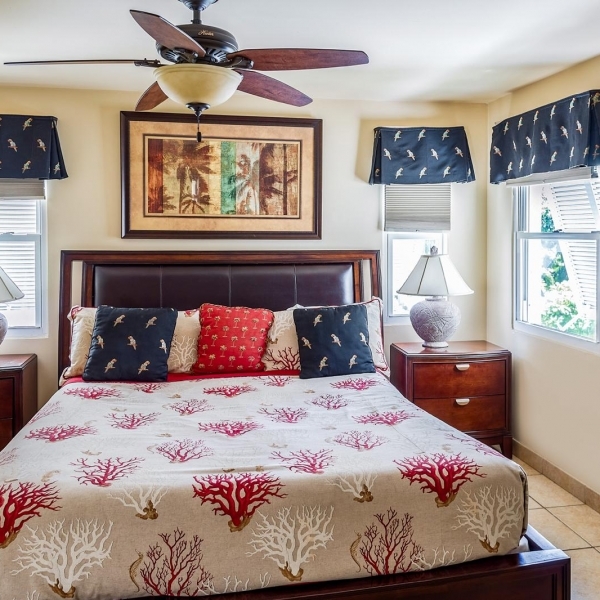 A king bed and attached bathroom with granite countertops, double sinks and a walk-in shower are amenities found within the master suite. 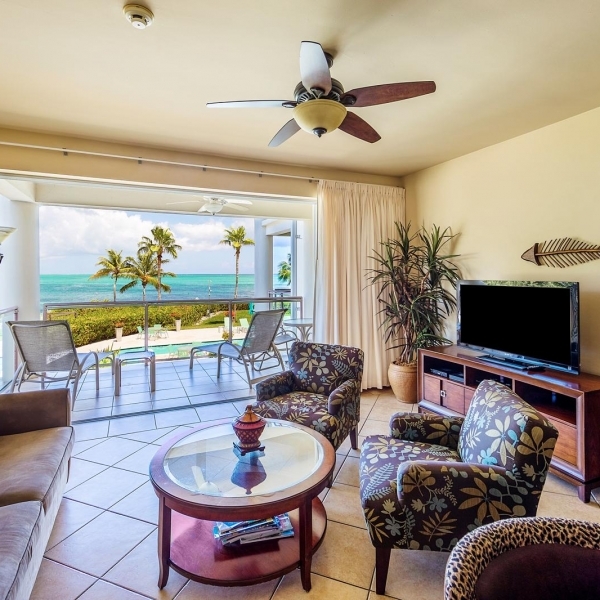 Flat screen televisions are provided in both the master bedroom and downstairs in the living area. 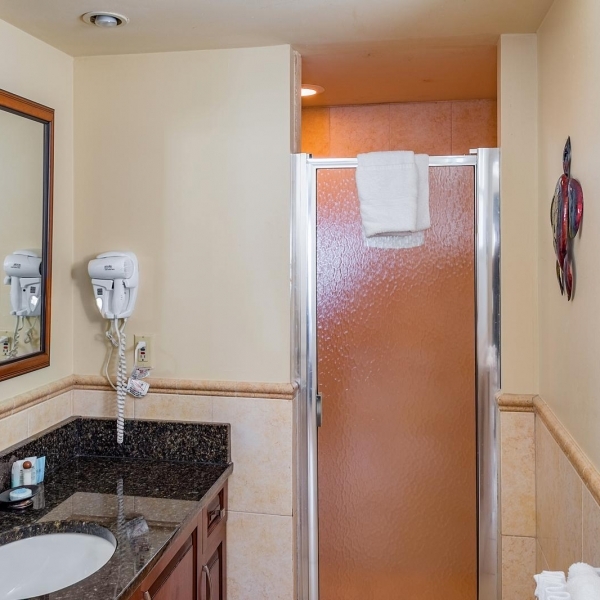 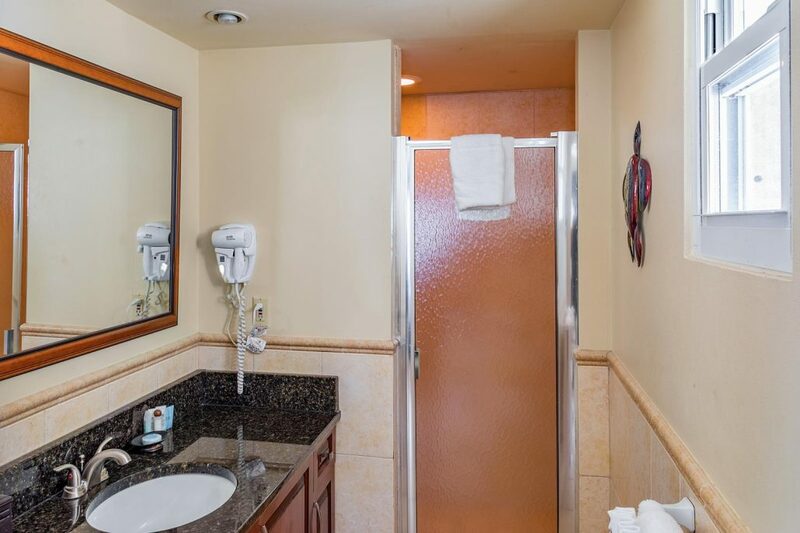 There is also a half bathroom downstairs. 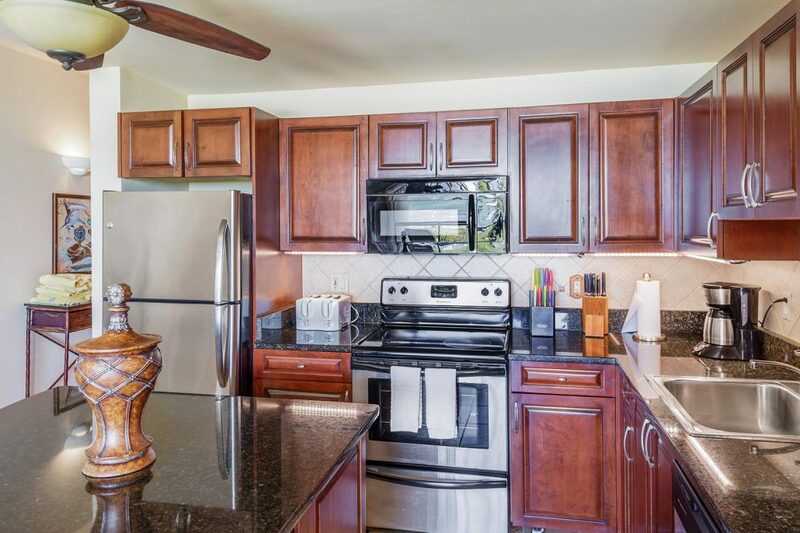 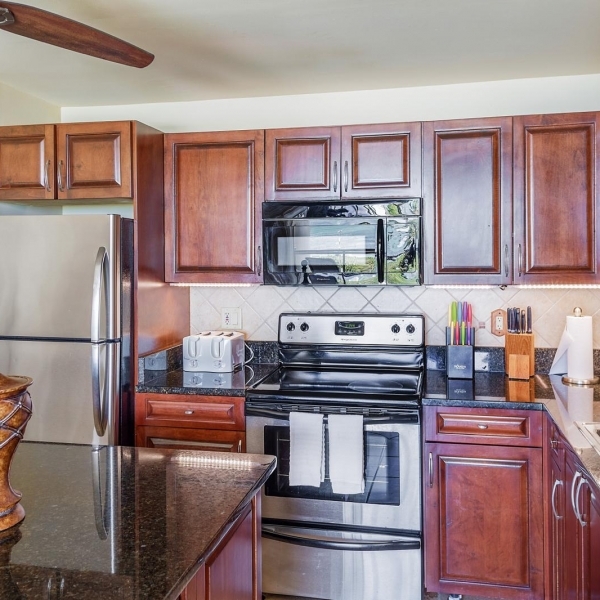 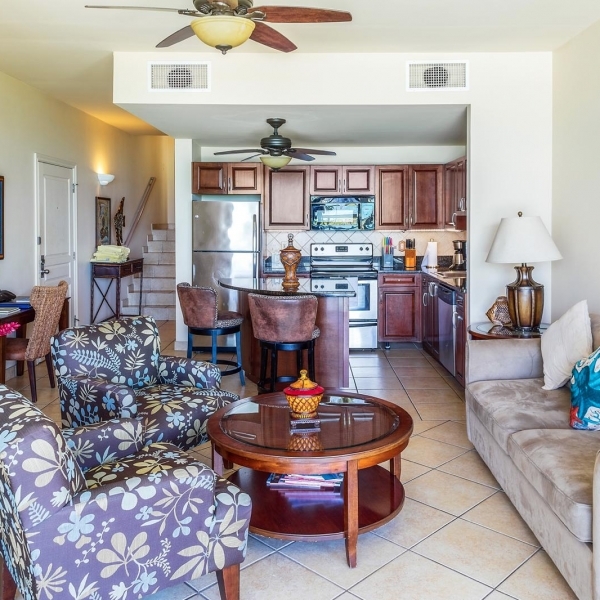 The condo also provides a fully equipped kitchen containing all new appliances and new granite countertops. 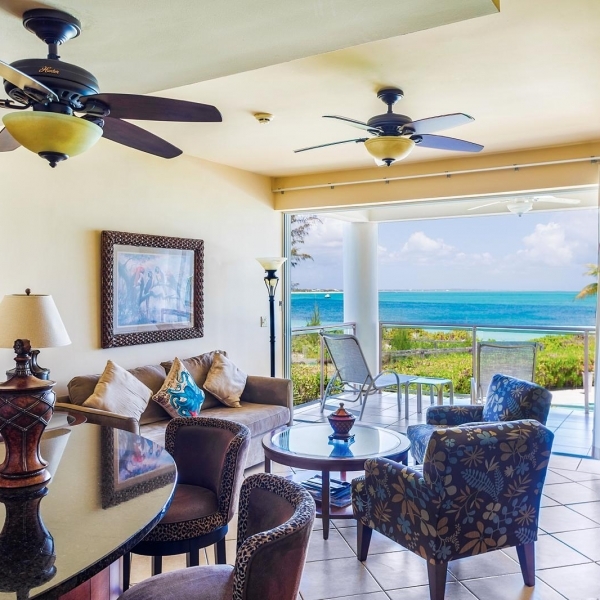 Come enjoy breathtaking views of Grace Bay.